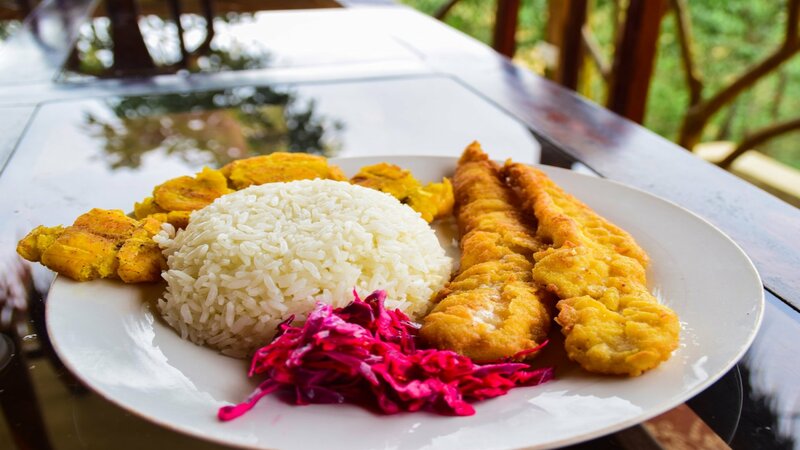 The Agua Blanca community has a community restaurant since 2006, offering the domestic and foreign tourists a place to enjoy local cuisine. One of the main dishes is the dry of goat, which are made with meat goats raising by members of the community as a means of economic livelihood. 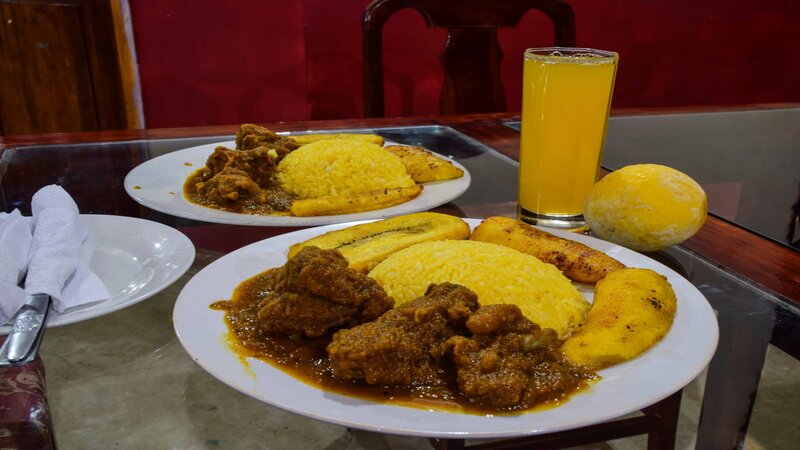 Also products that are used in the restaurant community are cultivated by the community, such as: Green plantain, plantain, yucca, papaya, Tangerine and other products in general, organically grown in family gardens. SECO DE CHIVO: 5.00 usd. Rice, ripe, salad and juice. DRY chicken Creole: 4.50 usd. Rice, fried plantains, salad and juice. FISH to the lever / garlic / FRITO / fried fish: 4.50 usd. Grilled SHRIMP / trap / garlic: 6.00 usd. BREADED chicken / fried / LA PLANCHA: 4.50 usd. CAMOTILLO: prices according to season. OPTION 01: Bolon's Green, fried egg, coffee, juice. OPTION 02: fried plantains, tortilla egg, cheese, coffee, juice. OPTION 03: bread, eggs, coffee, juice, butter, jam. For reservations please contact the 0968906968 and ask for Mr. Geovanny Avila. 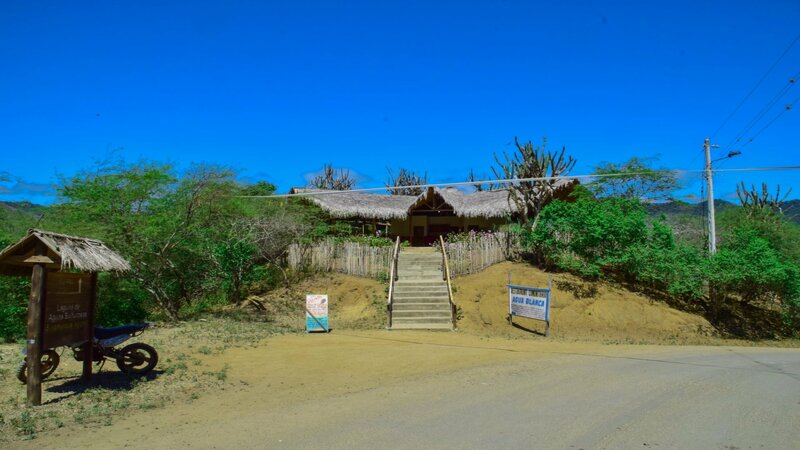 Comunidad Agua Blanca - Comunidad Ancestral, it is located in the Machalilla National Park, near the town of Puerto Lopez, Mananbi province; We are about various magnificent undiscovered attractions. If you want to know this or other places that are on our about, write to us in the form below and we will contact us immediately..!